Yesterday I played cricket for the first time ever. Currently there are many Indian students in NCI and they, along with some others, have set up NCI's first ever cricket club. They challenged staff to a cricket match which took place today at Pembroke CC in Sandymount. Having not ever played cricket before, but having played rounders, softball, golf, and hurling - how tough could hitting a cricket ball be? After all - I have seen it on TV! 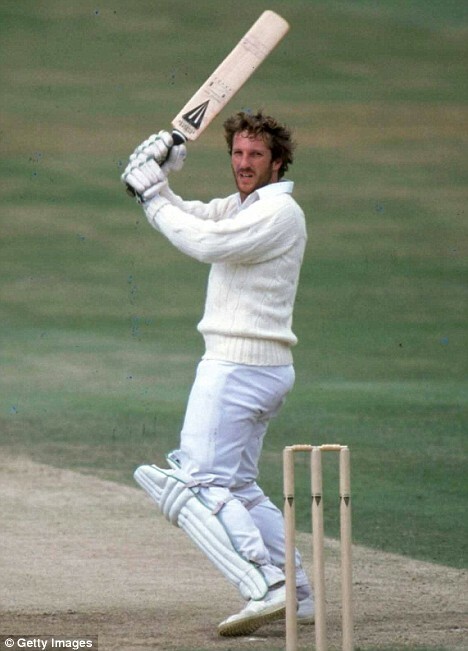 Ian "Beefy" Botham makes it look easy, so I fancied myself to have a go. Image link to the Daily Mail. The students batted first, and I was sent out to the boundary to field. The match was a 10-over each game, and while I was fielding the ball came to me twice. The students ran up a score of 68 for their 10 overs and I was bored. However, I did get to bowl for our last over. Following a quick lesson from the wicket keeper, I was Shane Warne for a few minutes. I bowled "two wides" and two "no balls" for four runs, but I was pleased that I only had three runs scored off the other six balls. So I was "7 for 0" - as we cricketers say! It did not take long for the students to demolish our batting. I was eight in the order and at last my moment came. I picked up a cricket bat for the first time ever and went into the nets to practice. I did OK, hit most balls that were bowled at me, and I thought - here comes my "Beefy" moment. I walked up to the crease hoping to give a good account of myself. The first ball that was bowled at me I missed by the width of the Indian sub-continent. Luckily it missed the wicket and I had another go. I missed the second ball by the width of the Indian Ocean, but was still "not out". But the third ball hit the stumps smack in the middle, and I had missed by a margin only just wider than the bowler's smile as he dismissed me for a "duck". My 15 minutes of cricket fame lasted about two minutes! I was so disappointed to be out without even hitting the ball. The Indian students were great sports and helped us a lot. In the end we were all out for 40 runs, but I can safely say that all had a good time - for most of us it was our first time playing cricket. The students sportingly gave us some practice with the bat after the game and this time I managed to hit a few balls. And it felt good.